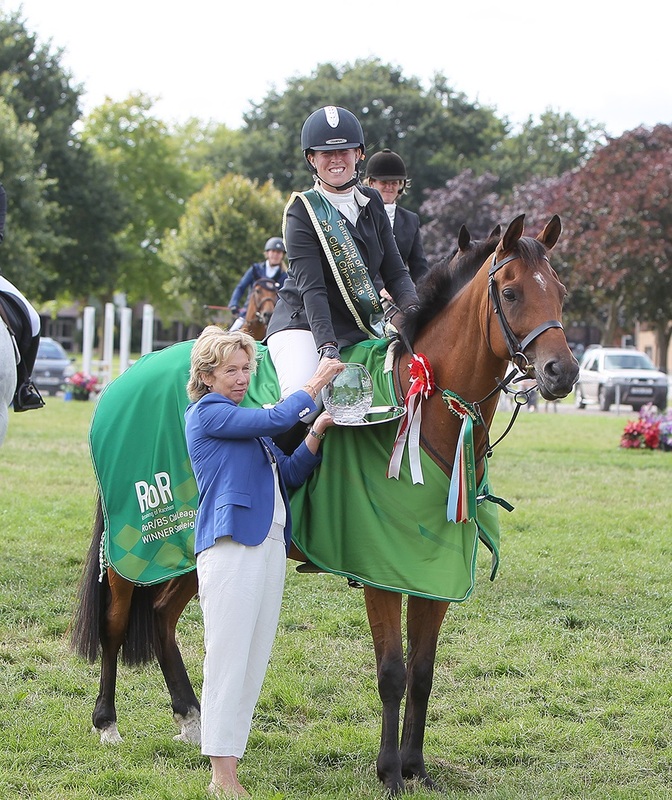 With only five weeks left before the start of the British Showjumping National Championships, hundreds of riders around the UK have secured their place at the highly coveted finals held at the NAEC Stoneleigh, Stoneleigh Park in Warwickshire 8th– 13th August. Sophie Huntley, age 15, from Salisbury has qualified for the National Championships across three classes with her two horses; Jumping Jazz Flass and Little Miss BlackBerry. After originally taking Jazz on as an apparently ‘un-rideable horse’, Sophie and her mare have been going from strength to strength picking up their first ticket for the Pony Discovery Final at Badgeworth Equestrian. Their second and third qualifying tickets came when competing for the ‘Just for Schools’ Competition at Quainton Stud where they finished 3rd and 1st in the 80cm and 90cm classes respectively. Sophie continued her winning streak with her other horse BlackBerry, also in the ‘Just for Schools’ competition. Competing in the 80cm class, Sophie and Blackberry beat Jazz’s previous time by just 0.28 seconds to slot them into second. The pair then took first place in the 70cm class too. Reigning RoR National Club League Champion, Rachel Dorell (pictured above), will be returning to defend her title at BSNC 2017. Rachel who is based in Chessington, Surrey, signed her ex-racehorse Daintydavey up for the BS Club League classes and Retraining of Racehorses (RoR) Club League in 2016. Discovering that there were three venues all within an hour of her that had designated qualifying classes, Rachel and Dave set out on their qualifying journey. Rachel commented: “In just two outings at Yateley Horse Show in June 2016 we won both classes on both occasions so Dave and I topped the South East leader board and qualified for the championships! We went to the finals without expectations so I was absolutely thrilled to win the Club 70 class and the RoR Club class.” Rachel found qualifying a little more limited this year and sadly Dave was unwell just before Snowball Farm’s last show so didn’t manage to step up to the 90cm as she had hoped, however they are both returning to the championships having qualified for the 80cm Club League and RoR Championship again. “I had such a good time in 2016 at the championships, so I joined my other horse Buckaroo Bob this year as well. Heading to Snowball Farm on a couple of occasions, we have come away with a win and second place in the 90cm as well as two wins in the 100cm so Bob has also qualified. I am really lucky to be bringing both boys and really looking forward to another fantastic show!” commented Rachel. With six days of enthralling competition, the show culminates on the afternoon of Sunday 13th of August with the British Showjumping Business Partnership International Stairway Final and the crowning of the British Showjumping National Champions 2017. With free spectator entry, great shopping, children’s activities including a bouncy castle as well as Friday and Saturday evening entertainment, you can bring the whole family along. Parking £5. For more information please visit www.bsnationalchampionships.co.uk.